If you have an Android One smartphone, we'd like to hear from you if your device has received the software update notification. 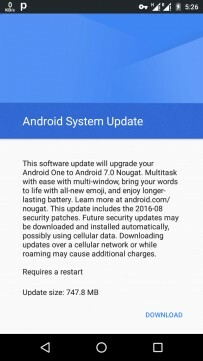 We've got a splendid Android 7.0 Nougat review for you to check out and see all the latest features Google's OS has to offer. A hat tip to Gie eM!